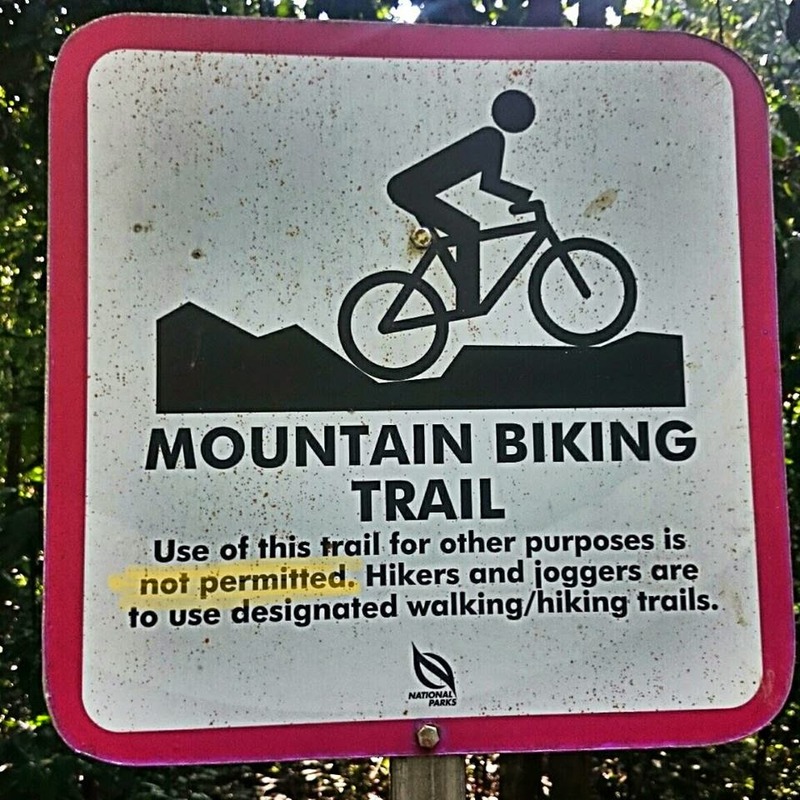 Conflicts between hikers and mountain bikers are universal. Singapore faces the same challenges as any other countries, trying to satisfy the needs of both hikers and mountain bikers. Despite a little red dot, Singapore Nparks had done well in preserving nature. Urbanisation and ambitious plan to increase the population to 6.9 millions by 2030 has taken a toll in nature. Hikers and mountain bikers fighting for the shrinking pie has become more intense. One fine example is Bukit Timah Nature Reserved. Over the years, Singapore Nparks has built and upgraded a vast network of hiking and mountain bike trails. Some of the hikers' trails include Kampong Trail, Green Corridoor (unofficial shared trails), Hindehe Quarry, Dairy Farm areas and many others. The only designated mountain bike trails in Bukit Timah area are BT Mountain Bike Trails (MTB only trail) and Butterfly (shared trail). 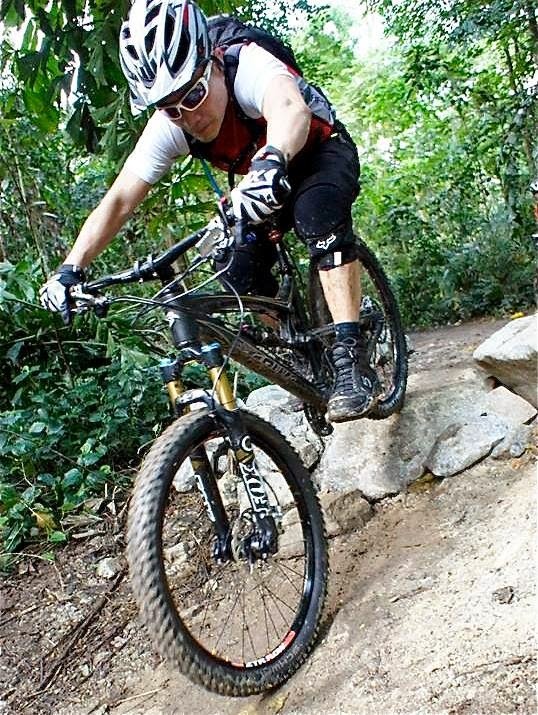 Other legal mountain bike trails include Kent Ridge and Ketam Bike Park. Unofficial mountain bike trails include T15, Gangsahill, Scorpion (illegal) and Woodcutter (illegal). 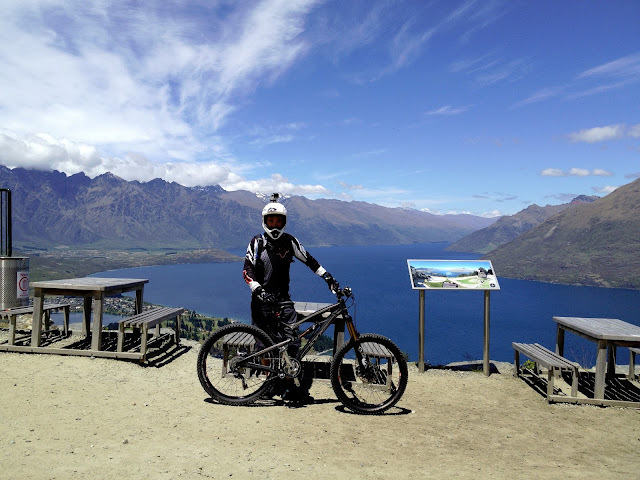 In 2013, BT Mountain Bike Trails had undergone intensive upgrading. The new trails had become more technical and less forgiving, with many rock sections, drops, tight switch-back and narrow single tracks. The reasons for excessive use of rocks are to provide better drainage system and minimise soil erosion and water ponding during raining season. The trial design caters to wide spectrum of disciplines: the downhillers looking for challenging DH tracks; the freeriders looking for pump tracks; and the XC riders looking for technical climb. The please-all design comes with a price...the trails has become less forgiving and require certain level of technical skill and fitness to enjoy. As the trails have many rock sections, drops and blind spots, it has become risky to ride even without hikers intrusion. 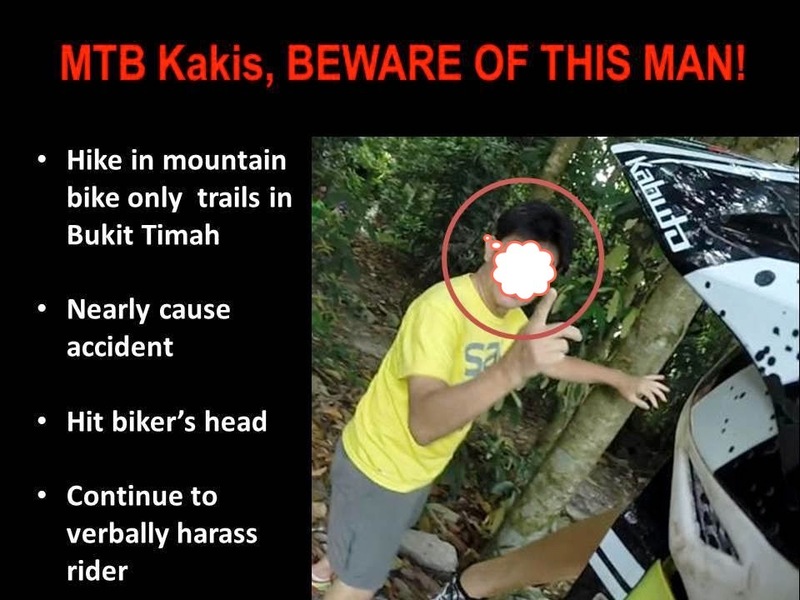 In September 2014, Bukit Timah hikers' trail was closed for upgrading and more hikers started to intrude into BT Mountain Bike Trails. Many hikers are senior retirees, other hikers include families with kids, trail runners, average hikers, tour group and school children & teachers. Incidents reported include (1) hikers resting on the downhill rock section at double black cobra; (2) hikers gathered at the blind spot just before the downhill berm; (3) riders' crashed and injured himself while trying to avoid hikers; (4) near collision; and (5) primary school students and teachers hiking along mountain bike trails. Confrontation between hikers and mountain bikers had been reported. In one occasion, two senior hikers beat a rider with sticks when being told to avoid mountain bike trails. In another incident, one rider was hit on the helmet by a hiker. The hiker continued to verbally abused the rider. 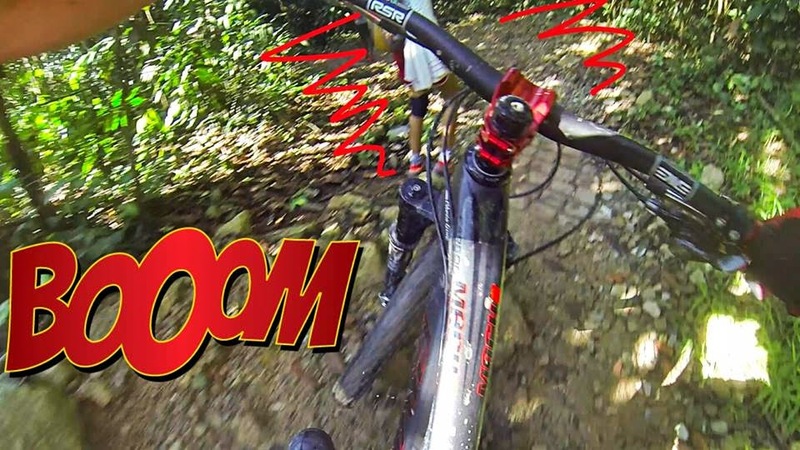 Hikers intrusion into Bukit Timah Mountain Bike Trails has become an area of concern not because of "illegality" per se, but the real danger of serious or fatal accident due to unforgiving and dangerous nature of the newly constructed BT mountain bike trails. There are lots of rocks, drops, single tracks and blind spots, which make the ride itself quite risky even without hikers. Despite warning signage erected by Nparks and education via various interest groups and forums, defying hikers not only ignore the warnings, but destroyed and illegally removed them. The only way to minimise mishap is strict enforcement by Nparks and continuous feedback from fellow mountain bikers. Ride and stay safe kakis.